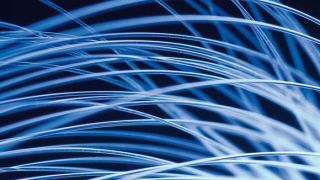 There's been something of a battle going on over just how fast internet needs to be for service providers to be able to legally call it "broadband," and the Federal Communications Commission has issued a verdict. For a connection to qualify as broadband it needs to be capable of at least 25-megabits-per-second downloads and 3Mbps uploads, the FCC now says, nixing the previous, outdated definition of 4Mbps down and 1Mbps up speeds. The effect will hopefully be that ISPs improve their infrastructures and up their speeds so they can keep calling their service "broadband." According to a graphic posted by Gizmodo, there are still currently lots of places in the US that have speeds below the FCC's new broadband definition, and you can bet those speeds are being advertised as broadband there. No longer, though, and ISPs are likely going to have to adjust. Or, you know, just come up with a new fake buzzword that makes their service sound even faster when it's anything but.